Samsung is a Smart Android phone which has been designed with many advanced features. Due to its advanced features, it has become the most popular and widely used Android device. One can use this Samsung Smart phone to store, capture and record images, HD videos, and other media files. It also supports various video file formats such as MP4, AVI, MOV, 3GP, WMV, and more. Among all these video file formats, MP4 files are most commonly used video files in various electronic devices such as mobile phones, digital cameras, computer, iPhone, iPod, and more. This video format uses separate compression for both audio and video streams so it delivers high quality videos. But, sometimes when you try to play MP4 file on your Android phone, you may face some issues like audio is lagging behind video or vice versa, video freezes but audio continues to play etc. This usually happens due to corrupt or damaged MP4 file. There are various reasons behind MP4 file corruption due to which there will be an interruption while watching it on your Samsung Smart phone or sometimes your Samsung device refuses to play a corrupt video file. As a result of this you will be searching a best repair tool in order to know how to repair MP4 Samsung. 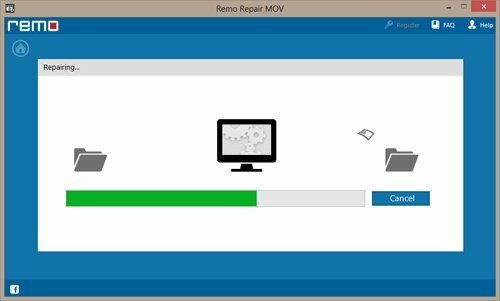 But, now there is nothing to worry about Samsung MP4 file repair as this can be done by using an advanced repair tool know as Video Repair Software. 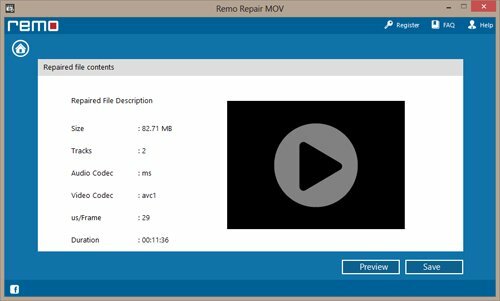 This repair tool can also be used to repair bad video files on various storage devices in just few mouse clicks. Virus Infection: If your Samsung Smart phone is infected by external threats like virus or malwares, then there are possibilities that the files stored on your Samsung device gets corrupted including MP4 files. Interruption: While transferring MP4 files from your Samsung device to some other storage device like computer, if any interruption occurs such as abrupt ejection of your Samsung phone, power surge may lead to corrupt MP4 file. Header Corruption: File header contains necessary information about the file. So, if the MP4 file header gets corrupted then you won’t be able to play it on your Samsung Smart phone. In addition to above mentioned scenarios, there are few more reasons due to which MP4 file gets corrupt or damaged such as codec issue, upgradation of app, improper download, recovering lost or deleted MP4 file using unreliable third party tool etc. So to make your corrupt file as a playable file or to repair MP4 Samsung you can use video repair software. It has inbuilt strong scanning algorithms which can effectively repair poor quality videos in short span of time. 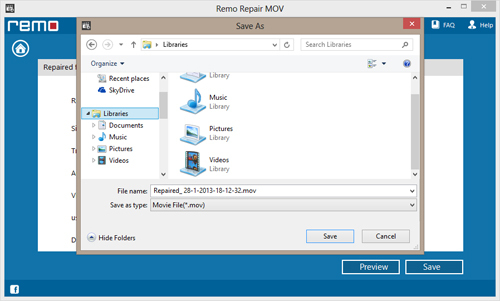 Video Repair Software is a fast and powerful tool to repair Samsung mp4 files. It has been designed with completely automated process to repair MP4 Samsung. This advanced tool can also be used to fix broken AVI files. This Samsung MP4 repair tool supports all the Samsung devices like galaxy, note etc. in order to repair Samsung MP4 files. This tool has been loaded with powerful repairing programs that help you in Samsung MP4 file repair within few eye blinks. It has ability to repair Samsung MP4 video file with excellent performance. It is extremely safe utility for Samsung MP4 file repair. It is capable to repair Samsung MP4 video files, AVI, MOV, WMV, 3GP etc. It can also repair the video files created by various digital cameras. This Samsung MP4 repair tool has a simple user friendly and easy to use interface that helps you to know how to repair MP4 Samsung in short span of time. It creates a new repaired file without damaging the original MP4 file. This application facilitates you to repair video file with no sound on Windows and Mac machine prior to save. Step 1: Find the software icon on the desktop after installation of the software is completed and just launch it by using the icon. 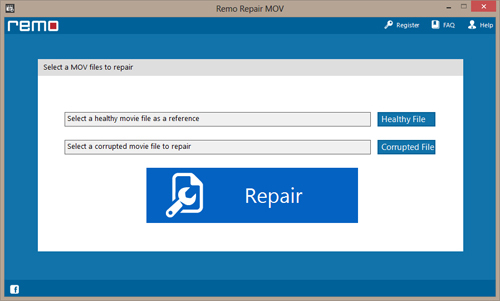 One main screen will appear with two options “Healthy File” & “Corrupted File” and one button that is “Repair”. Step 2: Connect your Samsung Smart phone to the system and then select the MP4 file from your Samsung device which you want to repair with “Corrupted File” button and also one “Healthy File” based on which the file will be repaired & press the “Repair” Button. Step 3: Wait until MP4 file gets repaired. Step 4: After sometime you will be able to “Preview” the repaired MP4. Step 5: Lastly you will be asked to “Save” the repaired MP4 file.